Peanut Butter fruits are oblong shaped fruit with thin skin that turns from orange to deep red when fully ripe. The pulp of the Peanut Butter fruit is very thick and somewhat sticky and surrounds a large central seed. The fruit offers an aroma and flavor similar to that of peanut butter. Ripe Peanut Butter fruits must be harvested immediately to prevent them from spoiling on the tree. The delicate soft fruit is not suitable for shipping. Both the skin and pulp of the Peanut Butter fruit are edible and popularly eaten fresh.The pulp can be combined with milk and made into a milkshake, or it can be added to cakes and pastries. The fruit is also popularly made into preserves such as jams and jellies. Once ripe, Peanut Butter fruit should be refrigerated and used within a few days or it can be separated from its seed and frozen. The seed is not edible! Peanut Butter fruit was the focus of a 2013 study in Brazil to determine the fruit’s antioxidant potential. Studies proved the fruit to be an excellent source of carotenoids, specifically lycopene offering nearly ten times that found in tomatoes. Peanut Butter fruit is native to the South American Andes region where it is still predominately grown today. 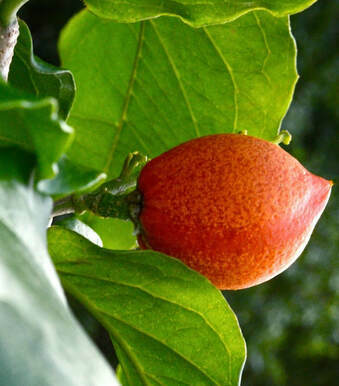 Additionally, it is grown by rare fruit enthusiasts in Australia as well as in the United States. The tree is popular and grows well in Florida, California, and Hawaii. Trees prefer warm weather, and full sun exposure though can tolerate partially shaded conditions. 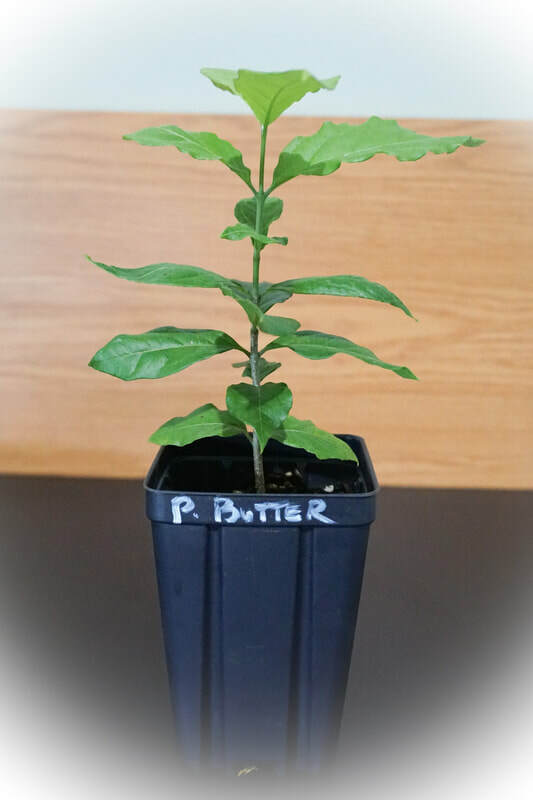 When grown in warm climates Peanut Butter fruit trees will consistently set fruit with each flower stem producing two fruits. Here in South Florida is not uncommon to see three crops of fruit per year.